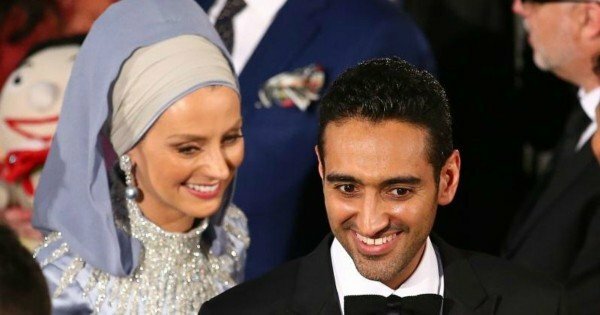 Gold Logie winner Waleed Aly has opened up about his son Zayd’s autism, describing the nine-year-old as a “lovely little man”. Aly, who is beamed into our homes every week via The Project and has creating a hugely successful media career discussing tough issues, says he decided to talk about Zayn’s diagnosis after a discussion with his wife, academic Dr. Susan Carland. He told TV Week his son’s diagnosis in 2011 has been a “major” thing for the family, but “because of the early diagnosis, he was able to get the support he needed”. “He’s a lovely little man, and it’s lovely watching him grow through all of these things,” Aly continued. 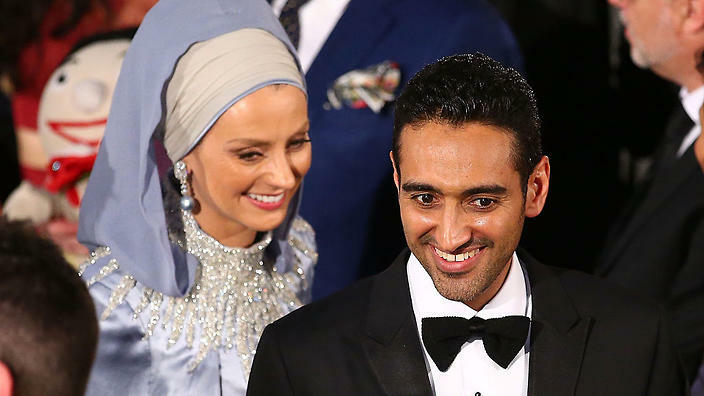 Aly and Carland, who were married in 2002 and are also parents to Aisha, 13, say Aly’s fame and his new gold statuette won’t change the dynamic of life together in their Melbourne home. “They might say congratulations and then I’ll say ‘Alright go practice your piano,'” he told the magazine after his Logies win. According to the Australian Bureau of Statistics most recent data, one in 53 children aged between four and nine will register on the Austism spectrum in Australia. The condition affects a range of behaviours, including the way in which people respond to situations, environments and interactions with others. But after a “good chat” with wife Susan – who Aly spoke lovingly of in his Logies acceptance speech – and a discussion around whether or not going public would be a good thing to do, the pair decided to share their son’s story. Aly saying he felt the stigma often associated with autism was beginning to slowly break down. "We did a story (on the Project) and that was the moment the seal was broken. It was like, 'OK, well, I can talk about the topic," he said. Five years on from his initial diagnosis, Aly says Zayd is "just coming on in leaps and bounds." Waleed Aly wins the Best Presenter award at the 2016 Logie Awards. HE’S known for tackling the big issues, but one thing Waleed Aly rarely talks about is his children — and his son’s diagnosis with autism. Talking with TV Week magazine after his Gold Logie win, The Project host opened up about his nine-year-old son Zayd and his diagnosis in 2011, saying it’s “a major thing for us”. “He’s a lovely little man, and it’s lovely watching him grow through all these things,” he said. He added that he and his wife of 14 years, Dr Susan Carland, had discussed the idea of talking publicly about their son’s diagnosis. “He's a lovely little man and it’s lovely watching him grow through all these things." Aly and his wife had long debated whether to discuss Zayd’s autism publicly with the Ten star previously wanting to let his son make that call. However following a special feature on autism for The Project he says “the seal was broken” and he went on to write a 2015 column against the anti-vaccination movement where he reveals he is “the father of an autistic son”. The number of people being diagnosed with autism spectrum disorder is on the rise in Australia with Autism Asperger’s Advocacy Australia saying it now accounts for 31 per cent of participants in the National Disability Insurance Scheme. The 2012 survey of disability, aging and carers by the Australian Bureau of Statistics estimated 115,400 Australians have autism with the largest group being between the ages of five and nine. The figure is up almost 80 per cent since the previous survey in 2009.